If you only add fun and color to one room, the kitchen is the place! After all, there is nothing worse than a boring kitchen. We all spend so much time there, a few things that make us smile are key. My Williams-Sonoma kitchen towels have seen better days. While I keep waiting (and waiting, and waiting) for them to come out with another color combination that I like, it just doesn’t seem to be happening. I recently found this adorable Artgoodies tea towel for the kitchen. Covered in pink cupcakes, my girls also think it is the best thing ever. 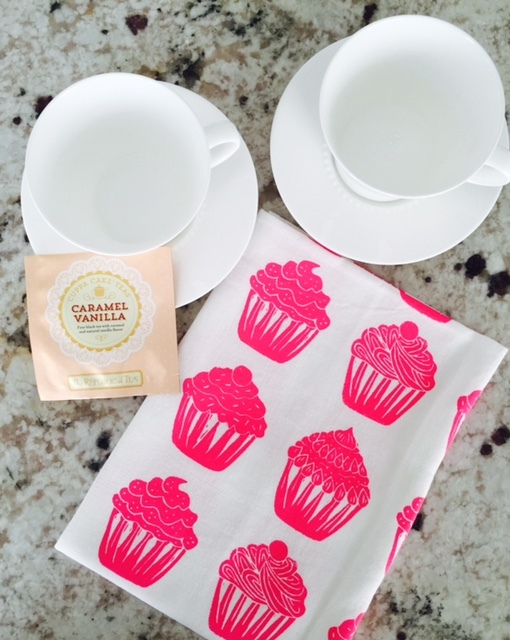 This little towel will definitely add some extra fun to our grilled cheese making and cookie decorating sessions. Plus, it’s made of 100% organic cotton. Nice. 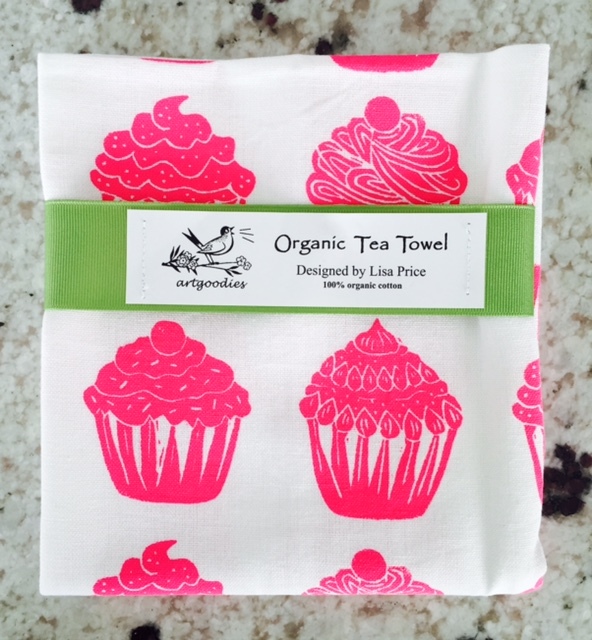 Designed by Lisa Price, Artgoodies also makes a tea towel with a fun diamond ring design. This may be the next one I add to my collection. 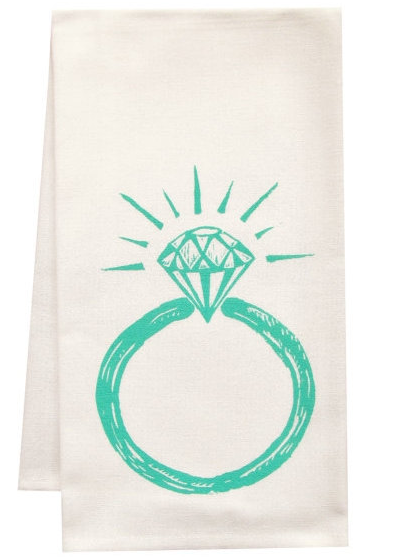 Also, what a cute engagement or bridal shower gift idea! I can picture it as a standout item in a gift basket. It definitely beats wooden spoons and a colander! There are lots of other whimsical prints to choose from (you can check them out here). They are sure to add a couple of smiles to your daily kitchen duties.